The Soul today is an orphan. At least that is what John Sanford claims. Why? Because Philosophy, her father, decided she did not actually exist and cast her aside. But, in doing so, Sanford says, he became confined to the world of semantics and semiotics, a wall that could not be breached. The Church, her mother, soon found herself in the extraverted and rationalistic materialism of our times and abandoned her child. But, in doing so, she lost her ability to relate the individual to God. Why is it not unforgiveable that the Church, her mother, abandoned the Soul? In the Old Testament, alone, there are about 450 references to the “nephesh,” which is “soul” in Hebrew. Even in the New Testament, you will find more than 50 references to the “psyche,” which is Greek for “soul,” and “butterfly,” which is fitting. Psychology even means “Study of the Soul;” psychiatry, “Healing of the Soul.” But somehow, Soul became Mind. Simply put, the EGO (Edging God Out) puts the sword to the soul. The Soul is trying to make ingress into our modern life. For example Carl Jung (who published a book entitled Modern Man in Search of a Soul) knew that psychic ills present themselves when a person loses his or her soul, and that the separation of soul from body leads to illness and then, death. Today, many people want to reconnect with the soul, and there are myriad online courses and lectures (many available from Hay House, for example) that want to help people find that connection. But, the majority are not interested. Why? Because “Soul” is irrational. It cannot be defined, and without the semantics and semiotics, well . . .
. . . Soul cannot be caught in our net. She is just like the butterfly and eludes every attempt to catch her conceptually. It is almost as if the more one tries to define Soul, the more elusive she becomes. How does the word, Soul, resonate with you? There are so many images and emotions, but no clear definition. Soul is subjective. She experiences. She both suffers and rejoices. And, she reflects. The soul receives psychic impressions and creates them, gives birth to and takes in psychic life, Sanford says. It is the faith of Soul that, in the end, truly leads us to God. Soul, Sanford says, despite our modern need to neuter, is She. She is Yin. 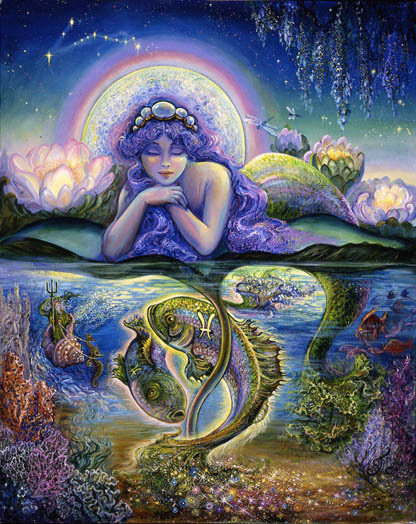 Spirit may be masculine or neuter but Soul, like Mother Nature, will always be feminine. Soul may appear in the dreams of a man under the guise of an unusual or beautiful woman whom he greatly loves or yearns for. Women also dream of the soul as a woman. Sometimes, it is a woman of whom she is jealous, if she is separated from her own eros, or, possibly, as a woman whom she admires. The soul will also sometimes appear as a bird. Our relationship to our soul will be indicated in what is happening with the bird. Is it soaring? In captivity? Dead? And, if dead, something catastrophic may be about to happen. In reference to psychology, Soul is that within us that connects our consciousness to our inner depths. She is our connection between the ego and the inner world. For a person to have a soul, they must take off their outer mask and face their inner adversaries. 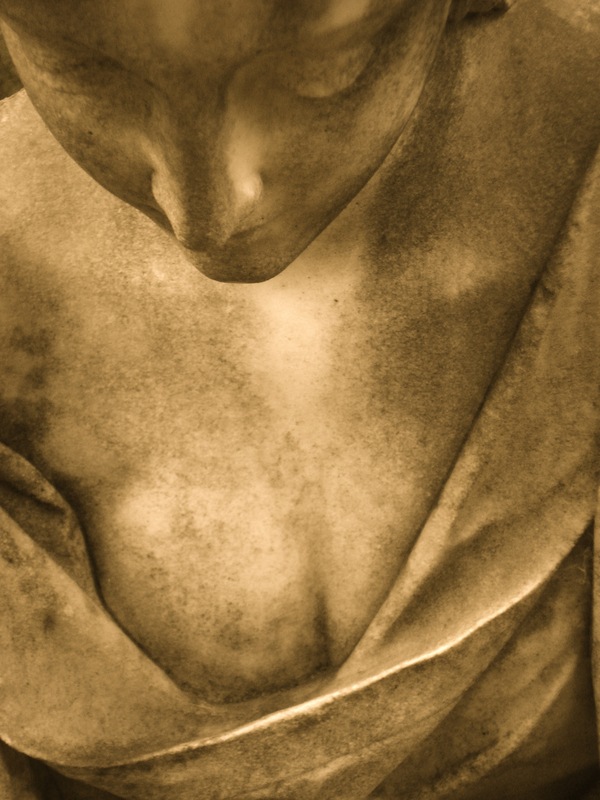 According to Sanford, eros is the feminine principle par excellence. Eros is that which binds together, unites, synthesizes, and heals. She is the cement of human relationship, the fount of inspiration for social and humanitarian causes, the bond between consciousness and inner meaning, and the door through which a person walks to spiritual insight. Because eros gives us the capacity to love, it is also the ground of faith. It is out of eros that faith springs, and from faith springs hope. That means a connection to the soul is absolutely fundamental to our capacity to affirm life meaningfully and positively. Faith is fundamental in our journey to the Kingdom. So, when Jesus speaks of faith, he is speaking of our capacity to affirm life no matter what life may bring. The importance of faith abounds in the teachings of Jesus: Matthew 8:10, 8:23-27, 9:29, 15:28; Luke 5:20, 7:9, 7:50, 8:25; Mark 2:5, 4:35-41, 11:22, for example. The denial of the soul denies both faith and eros. Because sexuality is often mistaken for eros, eros is often dragged through the mire of hedonism. Women and men find themselves separated from the eros principle of their souls, and thus, from their true selves. *Lynn Cowan, Masochism (Dallas: Spring Publications, 1982), p. 4. Quid es ergo, Deus meus? But, be realistic, he isn’t sadistic. It was somewhat cryptic, particularly to a ten-year-old (or was I eleven?). Either way, I was completely fascinated by this description of my birth sign—Pisces. I found this “definition” of myself on a colorful book of matches and never forgot it. I liked the idea of being mystic (whatever that actually meant) and a mourner and magnetic and even strange. It is true that I am not sadistic but I never really liked the rhymey-ness of that second line. As the years passed, I continued to be drawn to the mystic aspect of my sign, and, eventually, to the mystics themselves: Saint John and Saint Paul, Hildegard von Bingen and Teresa of Avila, Julian of Norwich and needless to say, Saint Francis. Evelyn Underhill, in her book, Mysticism, wrote: “Of all those forms of life and thought which humanity has fed its craving for truth, mysticism alone postulates, and in the persons of its great initiates proves, not only the existence of the Absolute, but also this link: this possibility first of knowing, finally of attaining it. Attaining knowledge of, and finally, union with, the Absolute is a journey along a different wilderness road. It is a long, and often arduous, pilgrimage and not everyone who undertakes it will reach their final destination. 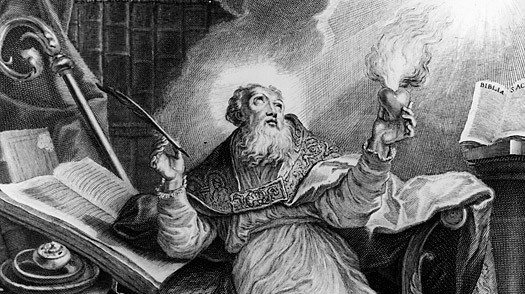 “Quid es ergo, Deus meus?” asked Saint Augustine. Underhill said that the mystic knows his task to be the attainment of Union with God; that is, the Unitive Life, which, while it is often lived in the world, is never of it. The self is remade, transformed and has finally unified itself. As Carl Jung might say, the process of transforming one’s psyche by bringing the personal and collective unconscious into conscious being has been completed. This is clearly not an easy task yet one infinitely worth aspiring to.